Soundcity has just pissed off Ghanaian dancehall artiste, Shatta Wale, who has been in the news thanks to him tagging Wizkid as “no superstar”, and sternly getting ignored multiple times by the Starboy. There was even a prayer point that went viral, which reads: “May God not ignore you the way Wizkid has ignored Shatta wale…”. Lol. 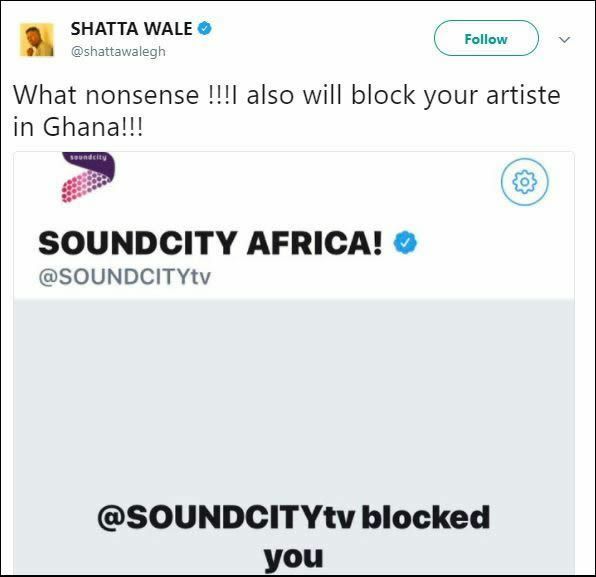 The Ghanaian dancehall singer is pissed after Soundcity blocked him on Twitter. According to details on Twitter, the controversial act was recently blocked for all his negative comments on Nigerian artistes and Nigerians in general.